It was a lone form standing amidst tall and imposing structures! It looked like it did not belong there. Slightly out of place and standing alone is this Sundial which did not gel with either the giant monuments spread across the vicinity nor the architectural family of Qutub Minar complex. But its significance in the history of the preservation of our heritage and architecture is immense. It was built as a memoir for the immense contributions made by Gordon Sanderson who was the superintendent of Archeological Survey of India during the British times. He led the excavations around the Qutub Complex. He has documented many books on the history of Delhi and its monuments. 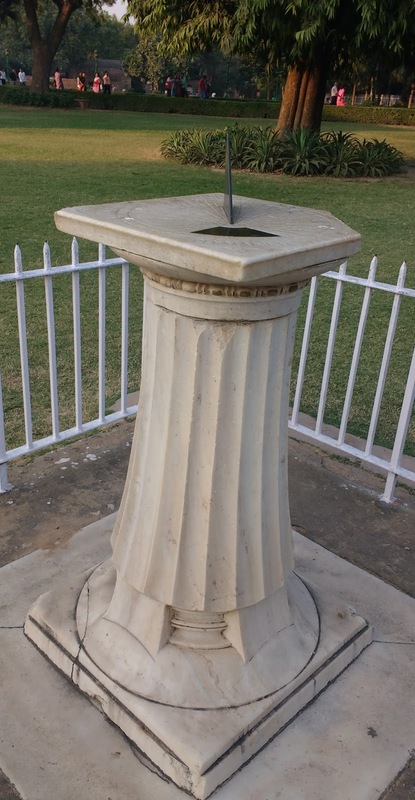 The marble structure has a blade fitted on top. The shadow of this blade keeps rotating according to the angle of the sunlight. We were however robbed of this opportunity to see the shadows rotating as there was no sunlight when we went and therefore, no shadows! 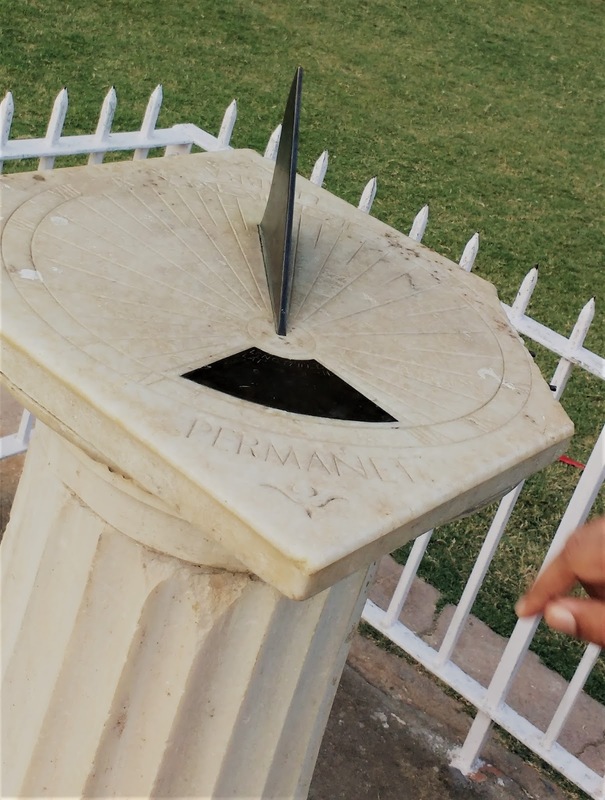 This sundial in its simplicity expresses the fact that the shadows keeps coming and going but the light remains (which is the meaning of the words written on it - Transit Umbra, Lux Permanet).